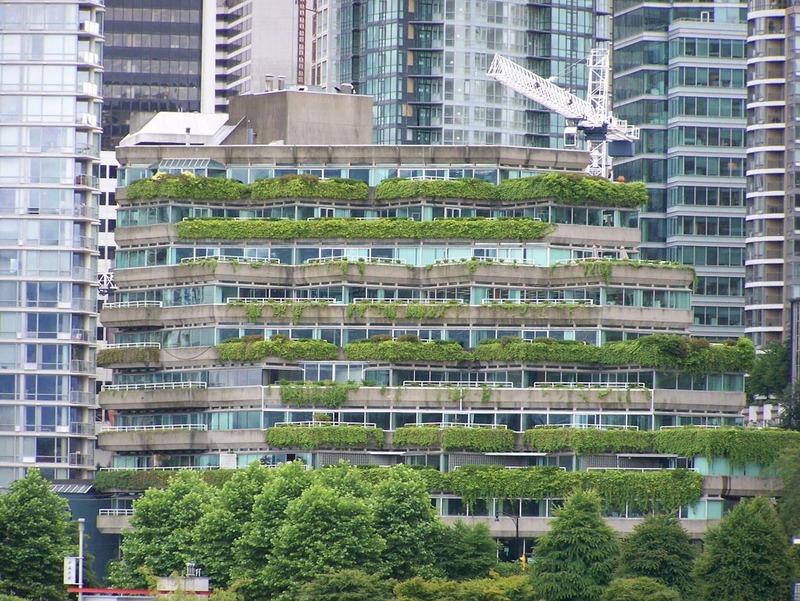 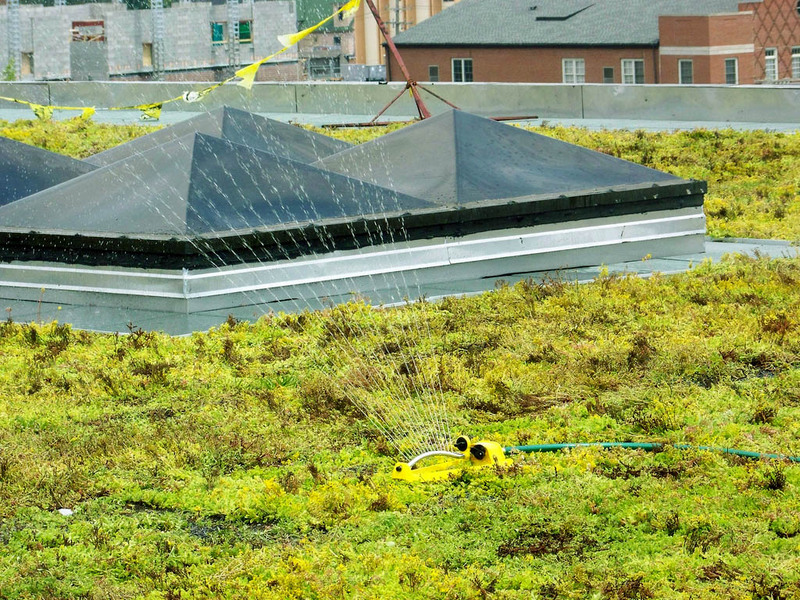 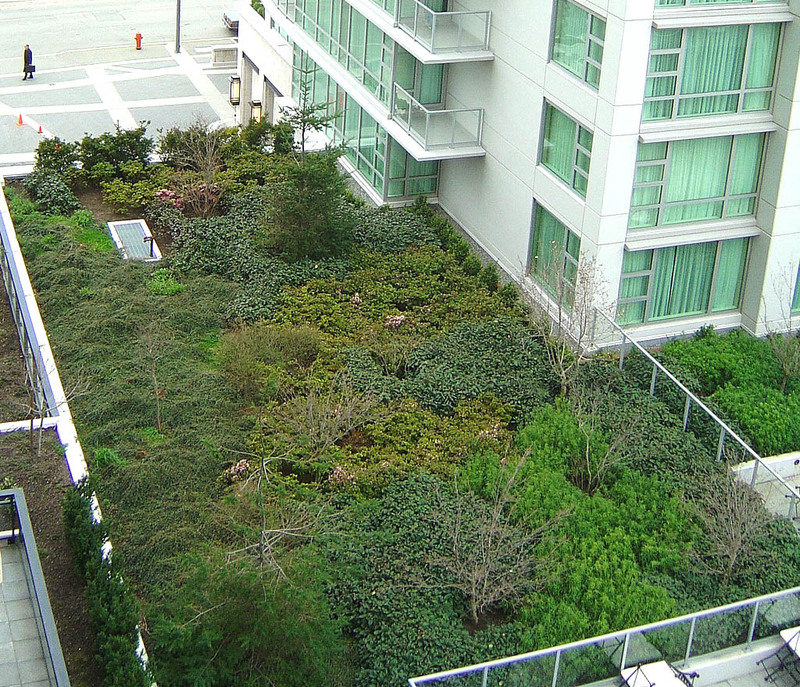 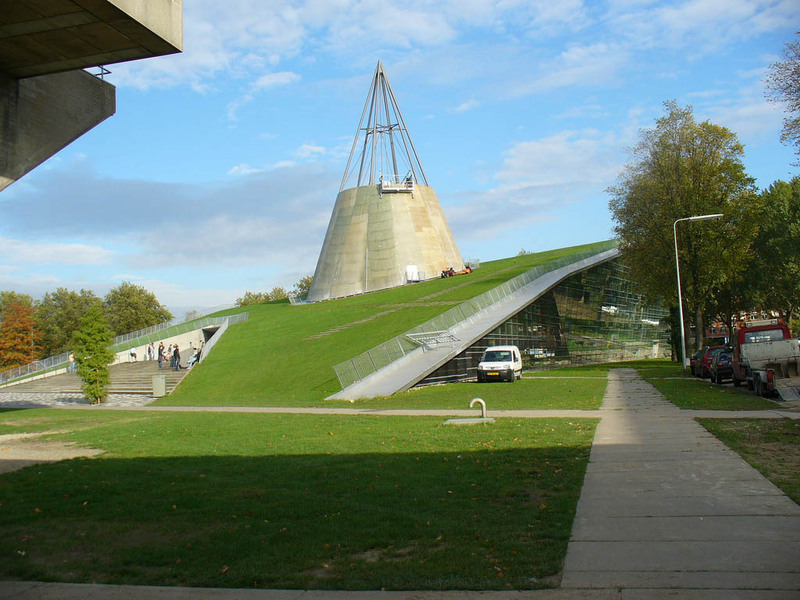 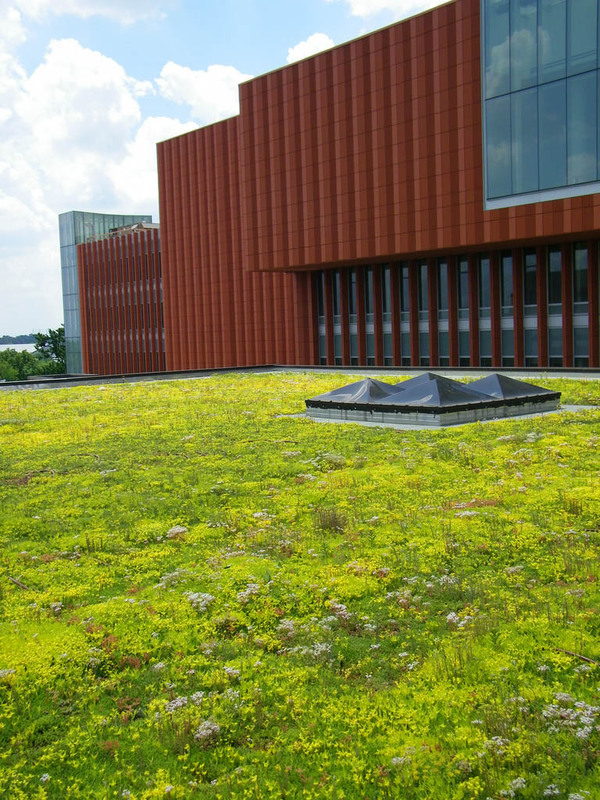 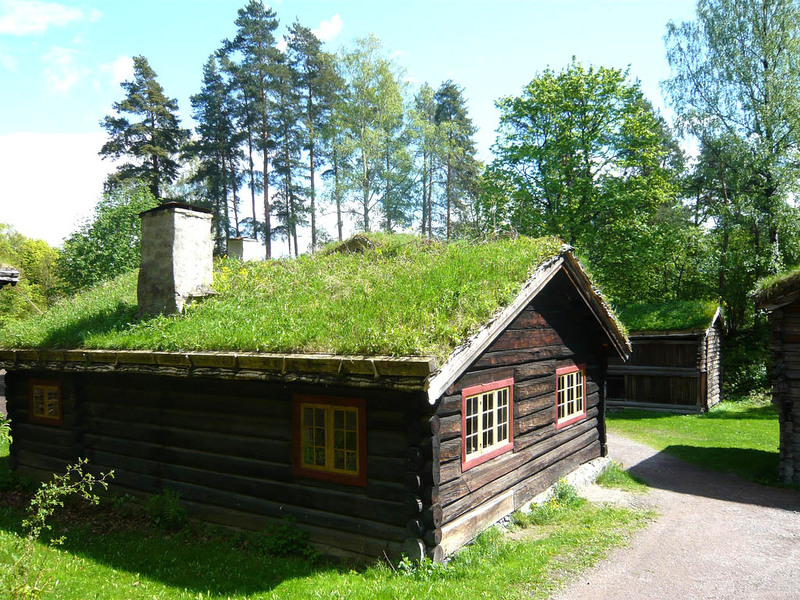 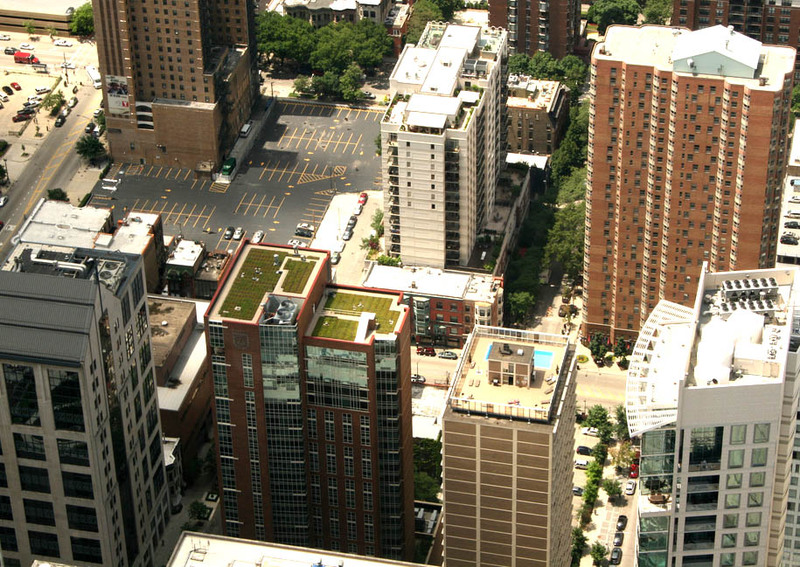 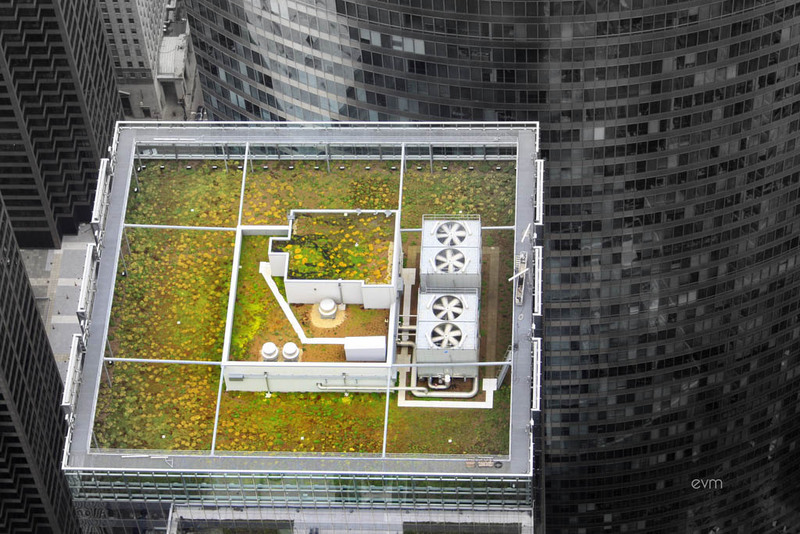 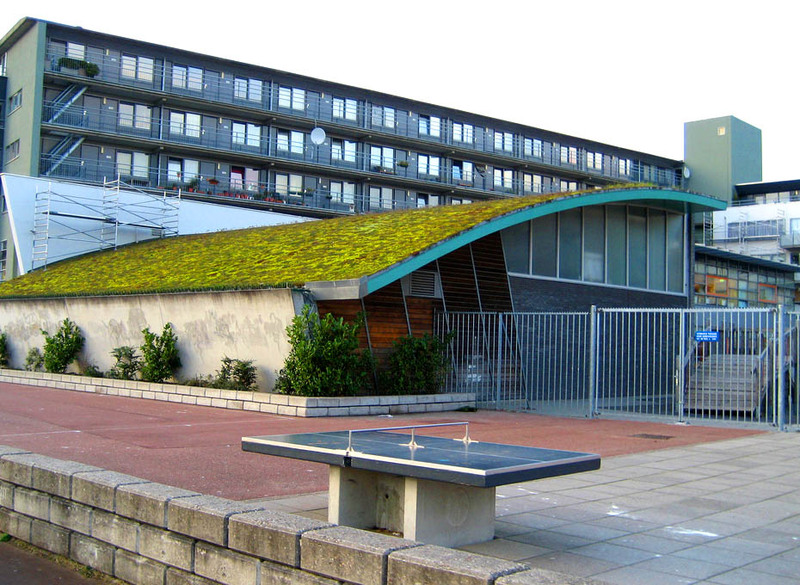 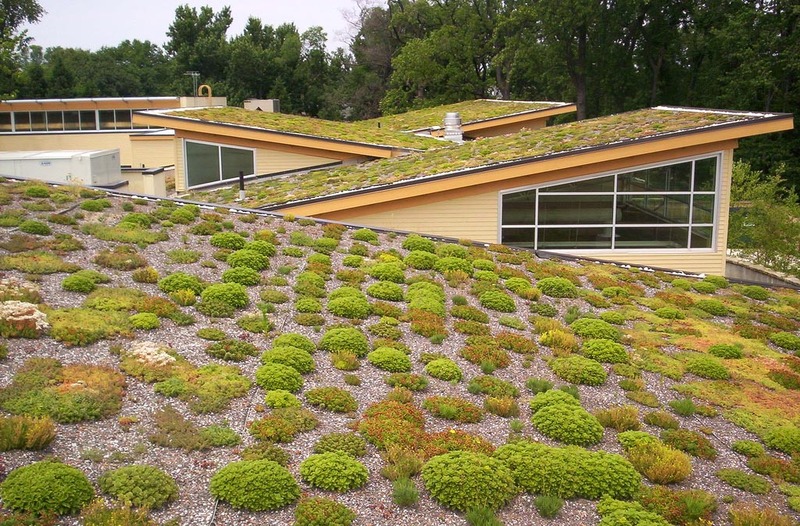 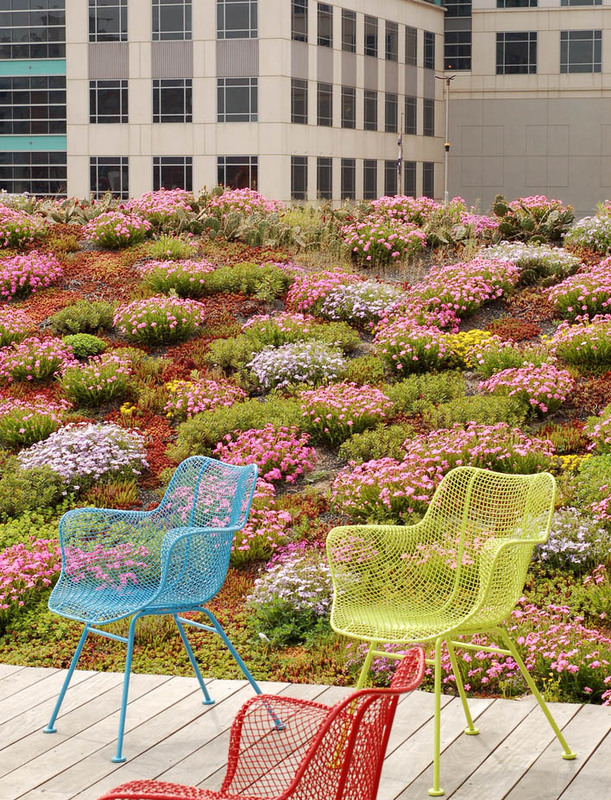 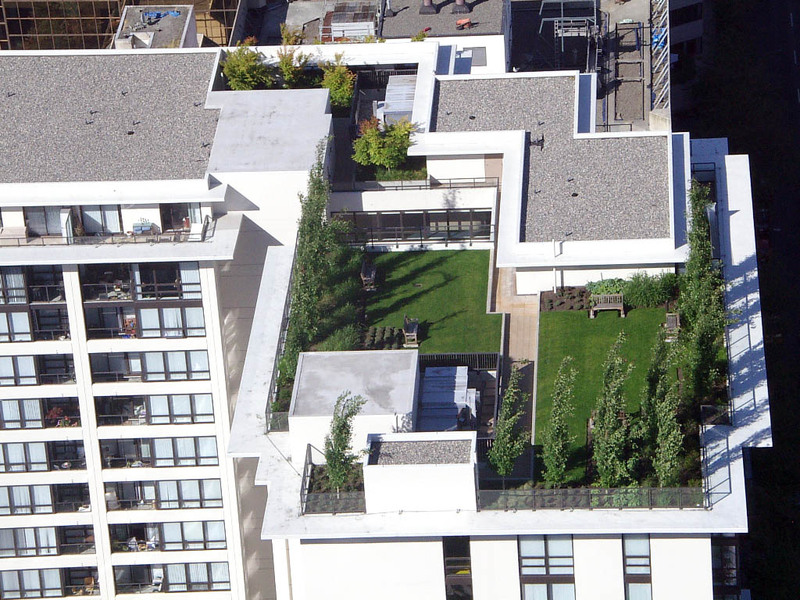 A green roof is a roof partially or totally covered by vegetation like grass, shrubs, flowers to reduce heating and cooling costs, harvest rainwater and improve air quality in the city. 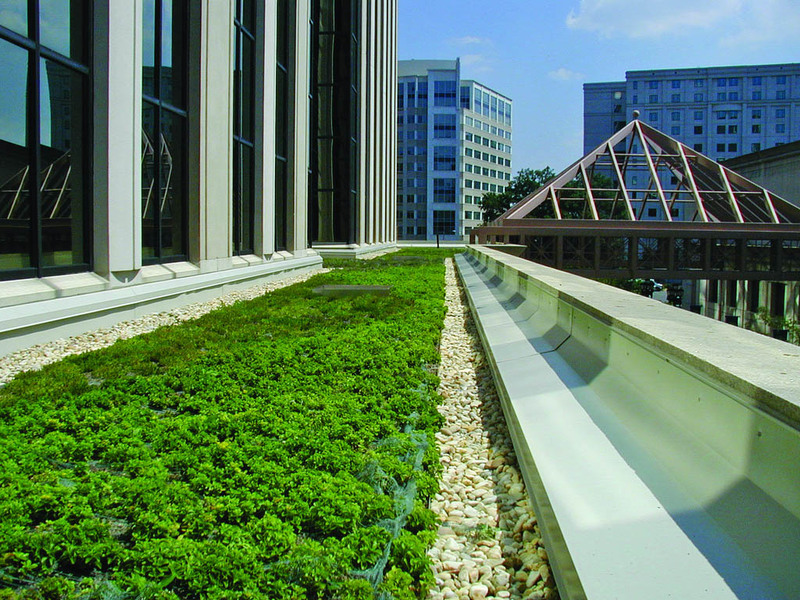 If even 10% of buildings in downtown would install green roof systems, through summer time city temperature would decrease by 1-2 degrees. 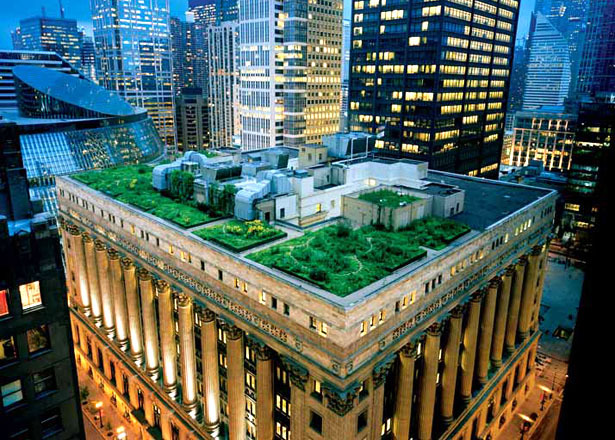 Green construction becomes more popular last years.